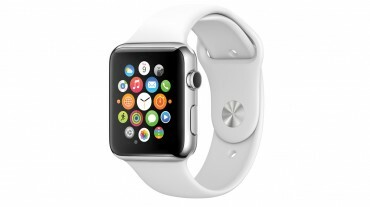 Okay, so I am sitting here at 6AM, and came across yet another Apple Watch post. Cool. Apple has its own Smartwatch. Great! No, I am serious. This means that Android and Pebble have solid competition to help drive forward development, and evolution of the platform. However, what are my thoughts on the current state of said platform? It is definitely in its infancy. I am not being harsh, but very truthful. This is not a bad thing, either. Every technology platform MUST start somewhere. 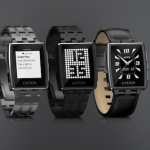 Already, thanks to the landmarks that Pebble created with their branded smartwatch has opened up doors, Google and Apple are able to walk through with very little effort. 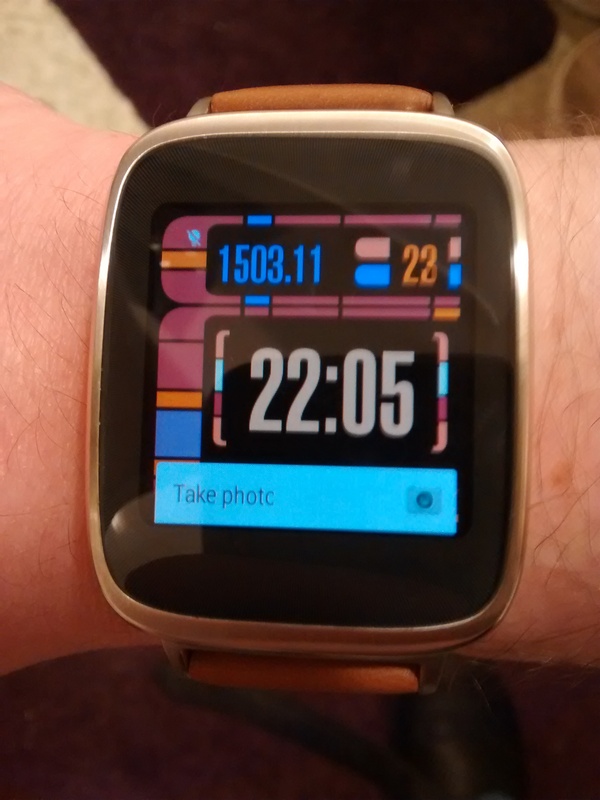 I am not a Pebble user, however, I have recently jumped onto the Android Wear wagon with the ASUS ZenWatch. A move that I have only begun less than a week ago, and am enjoying rather thoroughly…especially for a guy that swore off watches when he got the first Motorola Droid from Verizon. 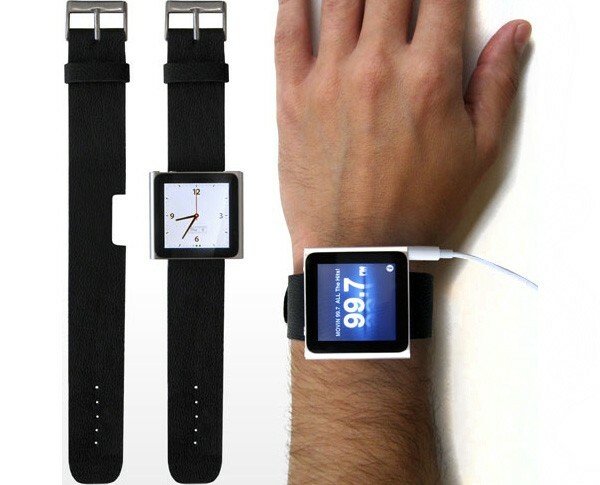 I dare say that Apple may have even inadvertently created the smartwatch movement with the 6th generation of the iPod Nano. This was a square little iPod that was roughly about the size of most smartwatches out right now. However, that device was not a watch, nor was it ever intended to be. When the first watch band…case…was created for it, it took off. Kind of. It was a nifty concept, and displayed potential for the market. It was just a tad bit too early for such a revolution to take place, especially since Apple wanted nothing of it at the time. Where smartwatches stand currently is interesting. There is not a huge level of support for the devices in regards to applications. I suppose it has a lot to do with the fact that developers may not know exactly how to meld into the platform yet. So far, the concept appears to be “glorified notifications”. This may not seem like a lot to the casual onlooker, but keep in mind that casually looking at your watch during a conversation is still considered “okay”. To casually look at your phone during the same conversation is considered rude, and in many respects, antisocial. The smartwatch allows you to see that incoming email, or text without having to appear rude to your conversation partner. You can choose to answer or ignore an incoming phone call with but a swipe of your finger on your watch without being distracted. It allows so many options in those regards. Smartwatches are having additional technology integrated into them so that we are able to trim down the devices that we carry. In the more common aspect, pedometers and heart rate monitoring are available in solid apps such as Google Fit, and ASUS’s Wellness apps. With these, along with numerous others, you can monitor your activity levels while making sure you aren’t over exerting yourself. As someone with a severe blood pressure issue, I am able to monitor my heart rate at any moment. Now only if there was a method to measure my BP on the device! Not to sound all “Big Brother”, but you can even allow the device to track your location. This is a great idea if you are a parent. As one, I want to monitor my children’s locations to ensure they are safe… and where they are supposed to be. If you are one of those that are hesitant about jumping aboard the smartwatch train, I recommend giving it a whirl. Check out the devices in person, read the reviews, find one you like. If you are an iPhone/iPod user, get yourself an Apple Watch. If you are invested in the Google Android ecosystem, get an Android Wear device. If you don’t particular care one way or the other, get a Pebble (there are apps to support it on iTunes, AND Google Play). If you do decide to get one of the several Android Wear watches, a Pebble, or the new Apple Watch, please comment below to let us know what your experiences have been. From Hiawatha, Kansas, Eric is a lover of tech, gadgets and shiny things. He created the awesome Chat, Dropcam and Live Chrome apps, and extensions for Geek Beat. He can be found on The Geek Beat chat room, Google+, Facebook, Twitter, and his own website sharing a random assortment of things. Some, perhaps NSFW. I have the Gear S, and really like it. I use it for working out, going on bike rides, and not having to carry a phone every where while working. It’s handy to see who’s calling when your phone is in your pocket or across the room. 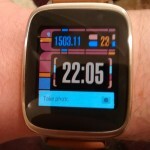 The problem with smartwatches is that even the best of them are nothing more than an accessory for your phone. While there is an attempt to classify these devices as “wearable computing” or as part of the “Internet of Things”, the fact is that, at this time, the real work is being done by the phone it is tethered to. 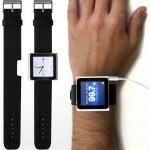 Aside from that the devices are little more than glorified timepieces and fitness trackers. That doesn’t mean they are without functionality as a device when tethered. I personally use a Microsoft Band that I love. However, its main purpose is to tie me into my phone for immediate access to information. If I receive an email, I can see the header immediately with a discreet look at my wrist. If I’m in a noisy environment, I can feel the buzz on my wrist and see the notification of a call far more easily than I can hear the phone or even feel it in the pocket of my jeans. It is an accessory and extension of my phone and not a device unto itself. That will need to change if they are to make a big impact on the market. Smartwatches will need to become independent devices that don’t need a phone to be fully functional. This, however, is unlikely to happen. There is only so much information that can be seen easilt on a watch face. Even now, people are getting larger and larger screens on their phones to view even the basic information that can be seen there. It is unlikely that the move will be to an even smaller screen. Unfortunately, until smartwatches become independent without that tethering, they will remain, mostly, in the realm of hype. I agree with this assessment. As I said, the devices are in their infancy and the functionality just hasn’t been reached yet. Part of the overall problem, I believe, is the lack of memory that is currently being allocated to the smartwatches currently out there. 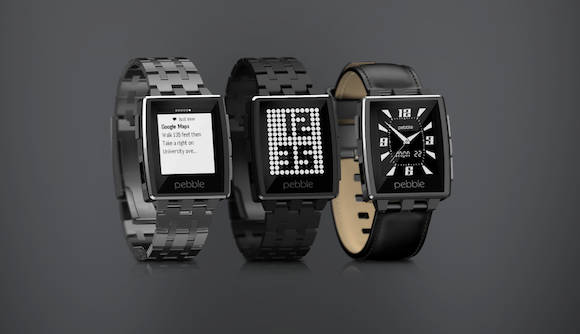 Pebble seems to be a bit more “stand alone”, but you still need a phone to add apps. Same can be said of most of the others. 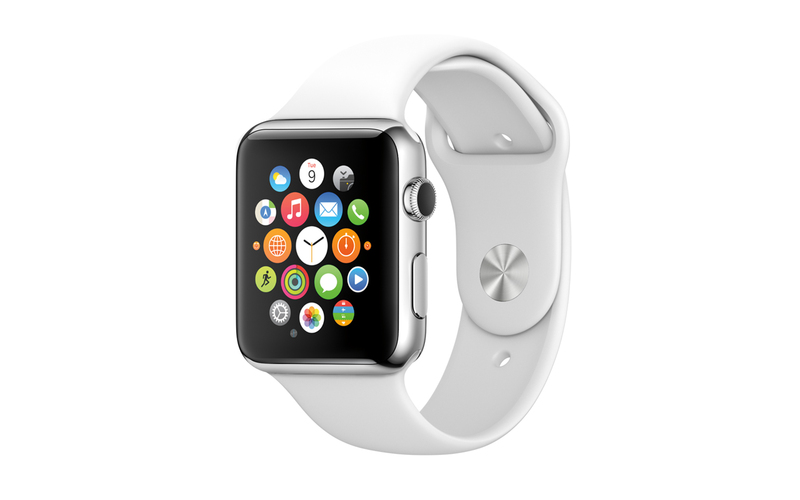 If Apple plays their cards right, they will forgo the required tethering of a phone to the watch. Add in its own wifi, and it will make a HUGE difference in functionality, in my opinion. The watch might be good for younger eyes, but I can’t imagine seeing email text on such a small screen with my 57 year-old eyes. And the watch looks absolutely huge for someone with a relatively small wrist like mine – even the 38mm version. I usually have to poke extra holes in leather watch bands to make them fit. I’ll stick with my new iPhone 6 with its 4.7″ screen for reading emails. Now if they got the price down to under $100 then it might be interesting to play around with (I may need my iPhone to magnify the watch screen), but not at $350 and up. Are kids these days buying watches again? I thought they were giving them up since all phones have a clock. I’m not sure that the watch fad will catch on. Understandably, not all new gadgets are for everyone. There seems to always be those individuals that get “left out” due to a variety of reasons. As for the small screen, it may surprise you regarding how easy it is to view text on these small screens. Full emails aren’t displayed, just the gist of them…subject and a smidge of body.